Image Size: 330 × 448. 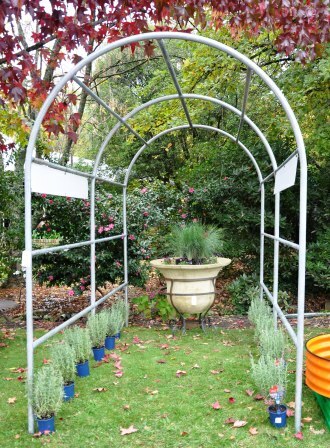 Large garden arbour and pot set up as a display at the Stirling Autumn Garden Festival, South Australia. The bell pot is raised off the ground on it’s wrought iron base creating a strong focal point at the end of this arbour.